The 2018 Dodge Charger isn't your typical full-size family sedan. Where competitors like the front-drive Toyota Avalon and Chevrolet Impala impart a sporty look, the rear-wheel-drive Charger displays a rowdy all-American bravado backed up by a team of powerful engine options, including a 707-horsepower Hemi V8 found in the Charger SRT Hellcat. Love my car; main issues are with Uconnect. I have wanted a Dodge charger since I was 13. The models of the past few years have been sleek and sporty while also having the ability to be a family car. The interior electronic features are top notch, sporting many different apps on the large display screen (Including local gas prices, movie times, & other convenient features) as well as separate climate control for driver and passenger. One of my favorite parts has been the navigation system, which offers dashboard directions and makes traveling much easier. One of the only problems I have had so far is a glitch in the tire pressure sensor. I was driving one day & got a "low tire pressure" notification, saying the front left tire had dropped to 9 psi. Knowing this couldn't be right, I pulled over and checked to see that it definitely had not dropped that low. After kicking the tire a bit, the sensor went back to normal. In addition to this, after first buying the car the Uconnect system would occasionally glitch: not recognizing Bluetooth, not playing any audio (radio included) but after a few regular Uconnect updates and using steering wheel buttons to reset it has not done this in a while. Finally, I want to say that the Uconnect app is very convenient when it works. The app lets you track, lock, unlock, and set off alarm to your vehicle from your phone. A lot of times i'll forget to lock my car and have to do it from inside work. Sometimes this will take the app 3-4 tries before it works. Overall, this is the best car I have owned. Features that came with the car. Great car, but I feel the cost of the Dodge Charger is too high for what the car has to offer. It does not get really good highway mileage, it does not have much pick up and go. The features that come with the vehicle are much like any other features you would receive with just about any other vehicle when purchased new. I do like the fact that it is made right here in America! I am glad that I did not purchase the r/t model, as I am sure I would be using the heck out of gas. Overall, a pretty good vehicle! I have had much better ones, but this is my very first Dodge vehicle! The best of the best when it comes to performance, comfort and style! The Dodge charger is sporty yet sleek and stylish. It has excellent performance. No hesitation and powerful. The inside design is classic and performance options are more than I can wrap my head around. It is the best decision I have ever made when it comes to a vehicle. From comfortable/adjustable back and front seats to the climate control, there's not one thing I feel negative about. A bonus is when I make/receive calls from my car, you cannot tell that I am even in a moving vehicle! I feel safe and comfortable in all weather conditions. 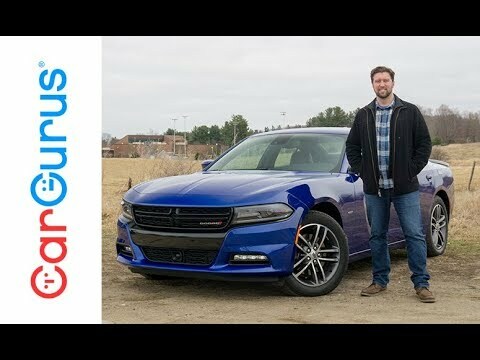 Review: 2017 Dodge Charger Hellcat - The 707 HP Family Sedan!